Lockheed C-130 Hercules. These pictures were taken back in the 1980s while I was in the Air Force. 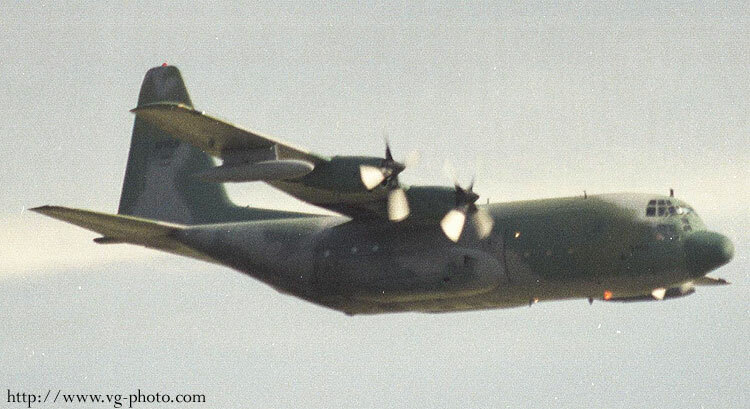 Flown by over 60 different countries for almost 50 years, the C-130 is a legend in the cargo world. This is the oldest C-130 in US service. 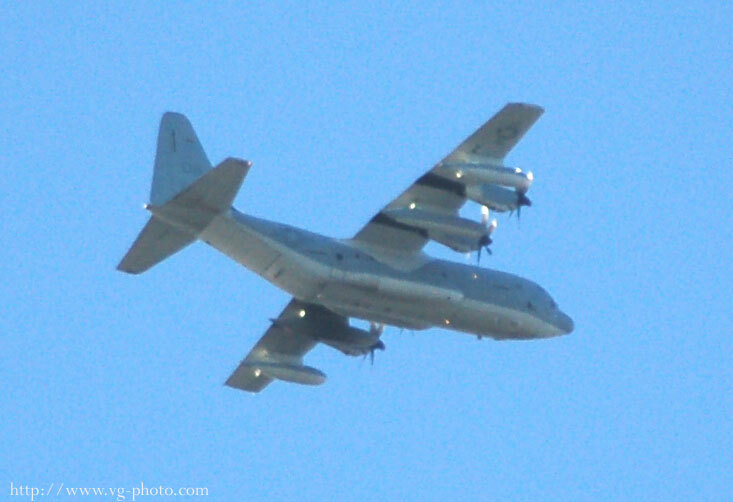 It is a C-130A built in 1956! It is assigned to the US Navy VX-30 "Bloodhounds" Test and Evaluation Squadron at NAS Point Mugu. Thes 2 pictures were shot from quite a distance away. 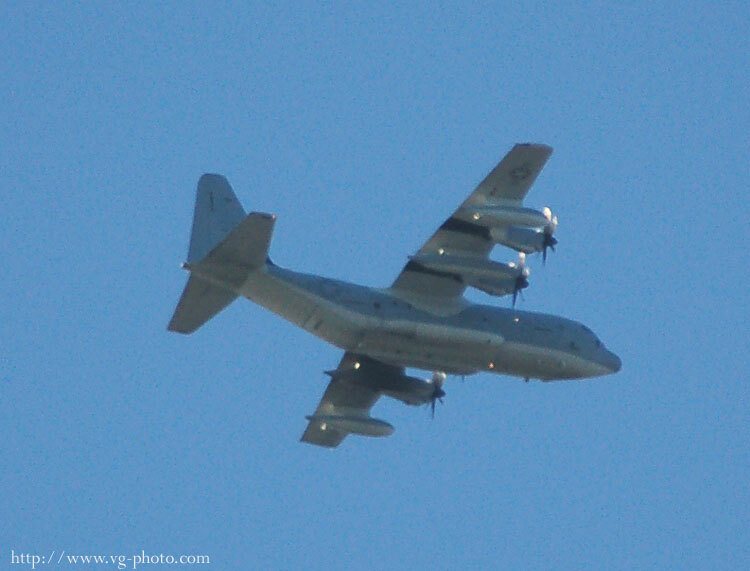 I was on the ramp at KCMA when I spotted a few C-130s cruising by to the east. I beleive that these are part of the Air National Guard based at Channel Islands.